Someone who is self-employed generally works for themselves as a business owner, freelancer, or as an independent contractor for another company. Earnings are usually directly from the business or freelancing, instead of salary or commission-based reimbursement. You are otherwise in business for yourself (including a part-time business). When you are employed by a company you are considered an employee. Employees are on the company payroll, and the employer withholds federal and state taxes, Social Security, and Medicare. Employees are provided with unemployment and workers' compensation insurance. Employees may be offered benefit packages that include things like paid sick leave, vacation, health insurance, or 401(k) or other retirement plan participation. If you're self-employed, you are responsible for paying your own taxes to the Internal Revenue Service (IRS) and to your state tax department. Even if you do not owe any income tax, you must complete Form 1040 and Schedule SE to pay self-employment Social Security tax. In addition to income taxes, self-employed workers must also pay Social Security and Medicare taxes in the form of SECA (Self-Employment Contributions Act). Independent contractors are not entitled to employee benefits, even those mandated by law like unemployment and worker's compensation because they are not employees of a company. Unlike a typical employee, independent contractors work less regularly. They work as and when required, and usually bill by the hour or per project, depending on the terms of their contracts. From a tax perspective, employing regular employees costs significantly more for employers than independent contractors because they are required to pay Social Security, Medicare, State and unemployment taxes in addition to consistent, salary or wage-based work. However, self-employed individuals and independent contractors may be able to purchase health insurance and other benefits for you through the Affordable Health Care Act (Obamacare) or through organizations like the Chamber of Commerce or others groups that provide benefits for self-employed workers and small business. If you have self-employment income, then you can take a deduction for health insurance expenses incurred for yourself, your spouse, and your dependents. Other self-employed tax deductions include home office costs, internet, phone, and fax expenses, meals, business travel and car expenses, interest on business loans, education, IRA contributions, and even some entertainment. While there are many positives to being self-employed such as choosing your own hours (full or part-time), shortening or completely avoiding your commute, focusing on career objectives that matter most to you, being able to work remotely and tax deductions, one of the downfalls is that benefits usually included in salaried work must be paid for out-of-pocket. Furthermore, self-employed workers are responsible for both losses and profits. There are no paid holidays or sick pay, and the earning schedule may be less in the short term when you are starting out. With no boss or supervisor to manage you, it takes great focus and motivation to be self-employed. In many circumstances, hours are long and working on your own can be lonely. Health insurance must be contracted for by the individual, there are no paid vacations or sick days, and retirement must be planned for. 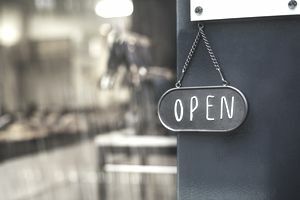 For those interested in making the move to becoming self-employed, Small Business: Canada Expert Susan Ward has great advice on transitioning from being an employee to being self-employed.